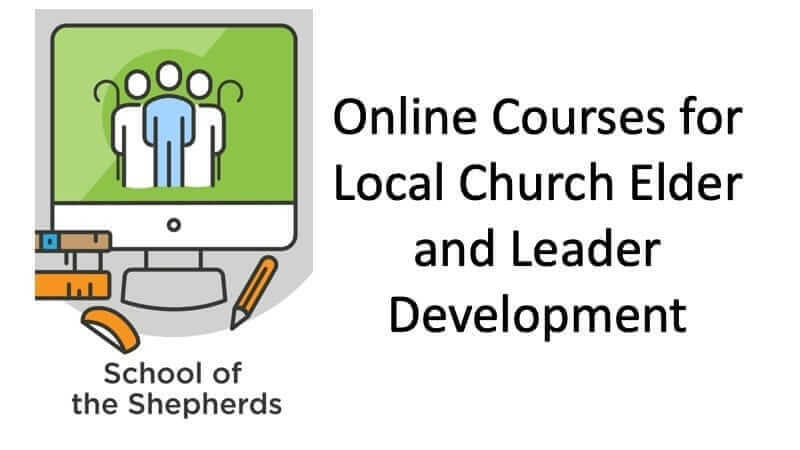 Welcome to the School of the Shepherds (SOTS), an online curriculum designed to supplement local church elder and leader development. Preparation for shepherding God’s people is much more than cognitive study, but there needs to be a biblical understanding of what is involved. This curriculum provides that element, not only for preparing future elders, but also leaders in various other roles in the local church; the principles apply broadly. Also, existing leaders can use this curriculum to fill in the gaps that are lacking in their own preparation. Read Tips for Using SOTS, which will save you some headaches later! Please be aware that SOTS is in beta testing mode. This means that while the curriculum is ready for general use, we are looking for users to give us feedback. While in this mode, you can sign up to take any three of the courses free of cost (use the following discount coupon code on your course purchase order. NOTE: you must select the three courses you want in one purchase transaction). Visit our Beta Testing Page for more information on this. (More about purchasing below). You will need to be a registered user of the site and logged in. Then you will need to “enroll” in your first course to begin. To do this, click on the Course Listing button below and click on the course you desire. On the course page, click on the “Purchase This Course” button. That will take to the purchase page. Remember to use the discount code above. We encourage you to take the courses in order, but you don’t have to stick to that. Also, it is best to have a mentor who can interact with you using the discussion questions. To do this, both the individual and mentor would enroll and work through the material together. The most effective way to study SOTS is with a group (also called a cohort). This will require a group leader or facilitator who registers the group and then “invites” participants to join the group. For more information, visit the Group Leaders Info page. At any time, you can check your user profile by clicking the green “Student Profile” button below. Derechos de autor 2019 Liderazgo Bíblico de la Iglesia. Todos los derechos reservados. Diseñado y desarrollado por Louise Street Marketing.